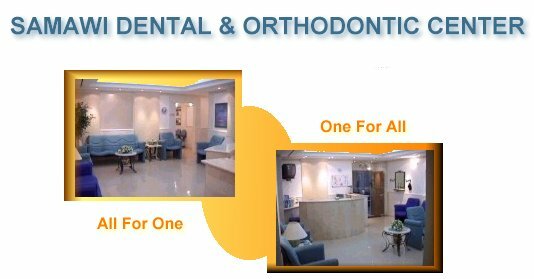 ALL specialties for the service of ONE patient...ONE center for ALL dental specialties. As one of the leading dental centers in Jordan, we aim to provide the highest quality of SPECIALIZED professional dental care to all our patients, and to maintain these high standards through keeping up with the latest research, developments & technological advancements in all fields of dentistry. 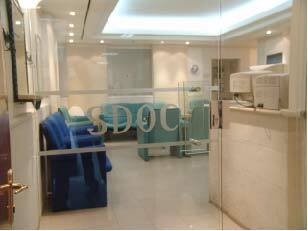 Founded in 1999 by Dr. Sami Samawi and Dr. Shadi S. Samawi, the center is comprised of five main clinics that provide specialized professional dental care, through qualified specialists, in ALL major dental specialties. In addition, our team of Dental Hygienists and assistants is available to provide professional assistance & Basic Oral Hygiene instructions to all our patients. Al Madina Al Monawara St., Al Hitham Trading Complex, First Floor, Opposite the “Holiday Inn” Hotel. SMILE…IT BRIGHTENS UP YOUR WORLD!